At Script & Style, we carry a broad range of personalized wood signs with designs as unique as the wood they are made of. These custom wood signs include family established signs, custom quotes on wood, photos printed on wood, and personalized picture frames. 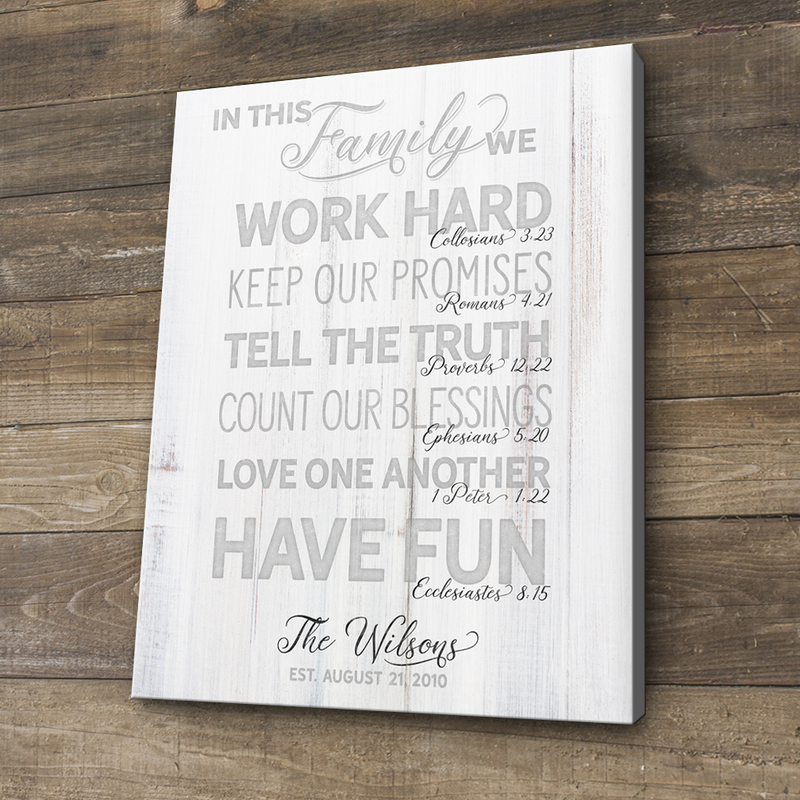 Each wooden sign is handcrafted and printed in high resolution direct to the surface of the wood, allowing the grain and texture of the material to show through the print, creating a durable and unique piece of art. Every wood sign is personalized just the way you want using the information you provide, making them a great gift idea for many occasions, including weddings, anniversaries, bridal showers, and housewarmings.